Carol earned her Olive Oil Sommelier Certificate from IRVEA (Research Institute for Excellence in Food) in Tuscany and her Olive Oil Consultant Certificate from the Italian Culinary Institute in New York. She holds a Doctorate in Education from the University of San Francisco, with a focus on cross-cultural communication understanding. Her career and interests have taken Carol around the world. She has worked and lived in England, France, Japan, Italy, Saudi Arabia, Brazil, Switzerland and China. 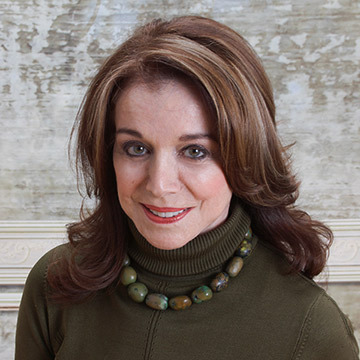 After receiving her doctorate, she worked for an international management consulting firm, teaching executives and developing communication strategies for major corporations; now her lectures focus on teaching people about the amazing history and practical, healthful applications of olive oil, filled with anecdotes and humor. Carol’s family hails from Liguria, a region in Italy known for its fine, light olive oil and her last name, Firenze, coincidently, translates directly to Florence, which is the capital of Tuscany, a region of Italy known for its high intensity olive oil, mirroring Carol’s own passionate interest in the subject. She was born and raised in the Mediterranean climate of California, where 99% of the olive oil in the US is produced, and grew up with an appreciation of olive oil as one of the icons of fine living. Her background coupled with her interest in the cultural history of commerce, health, medicine, beautification, rituals and culinary practices led development of her company, The Passionate Olive. 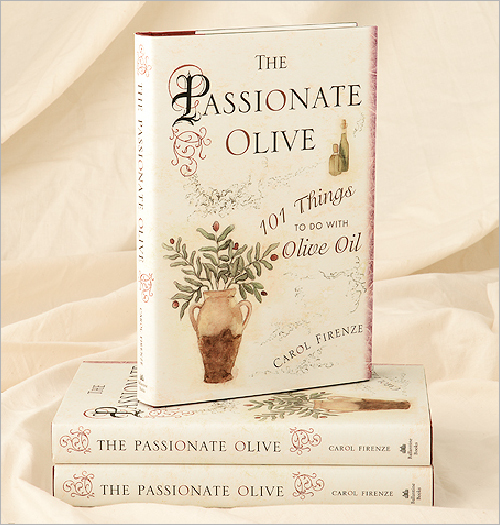 Her writing, speaking and products reflect her desire to educate others on the breadth and depth of the uses of olive oil. As a speaker and educator, Carol offers a variety of topics for large or small groups. Specific topics include Host your own Olive Oil Tasting Party, The Fat Truth, Olive Oil…from the Sordid to the Divine, and Food Pairings with Olive Oil. She also hosts seasonal Olive Harvest Adventures to Tuscany, Umbria and California. Click on PRESS to download hi-res photos and bios.